Includes 2 front wheels and 2 backing rings. 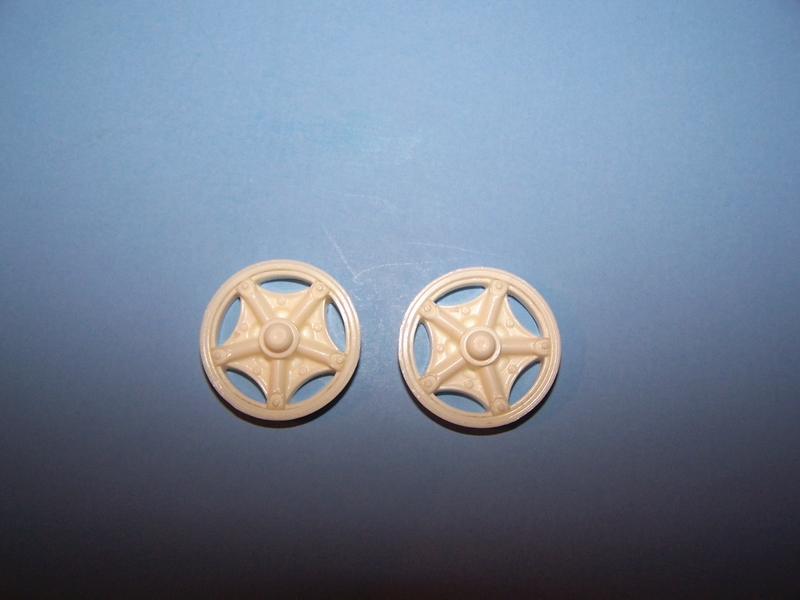 For use with AMT/Ertl 20" tires. 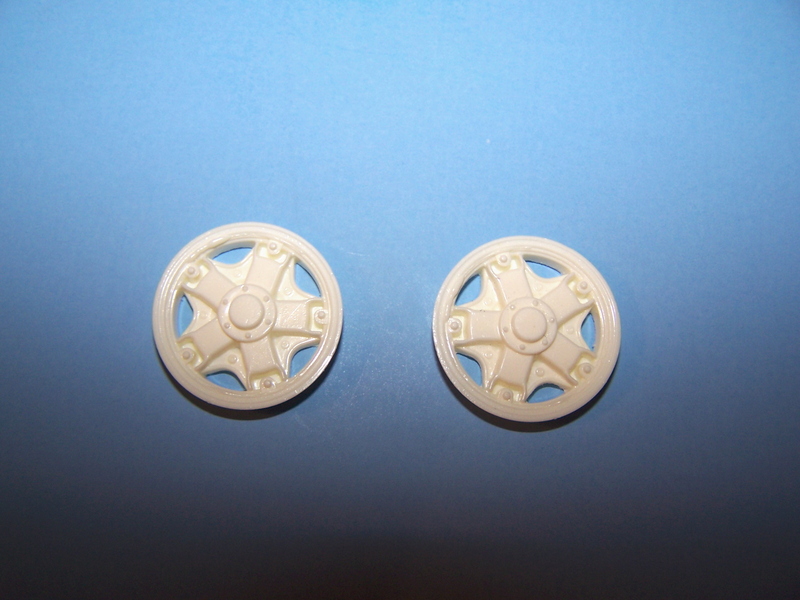 Resin cast 6 spoke front wheels for Mack. 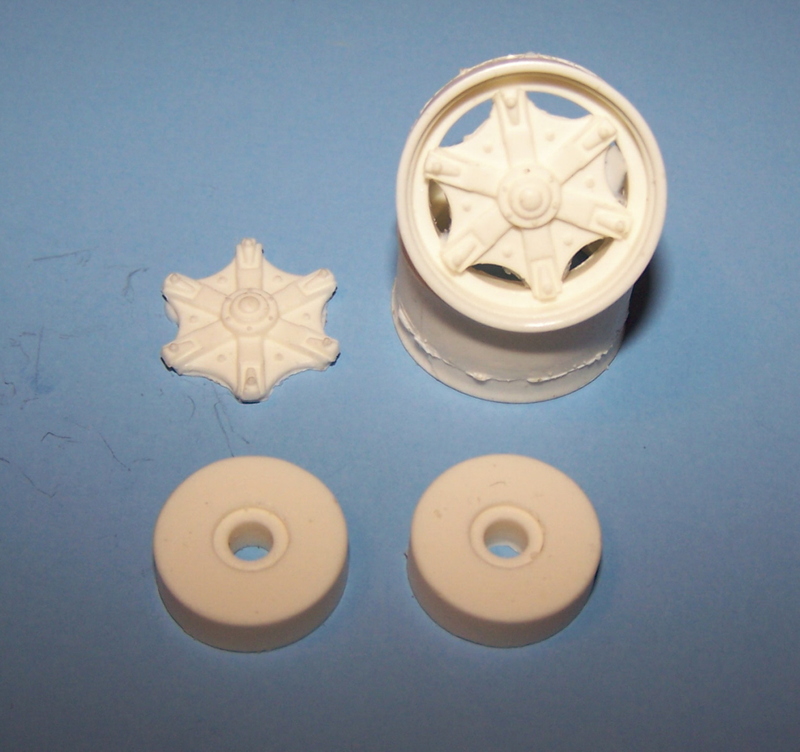 Resin cast 6 spoke wheels. 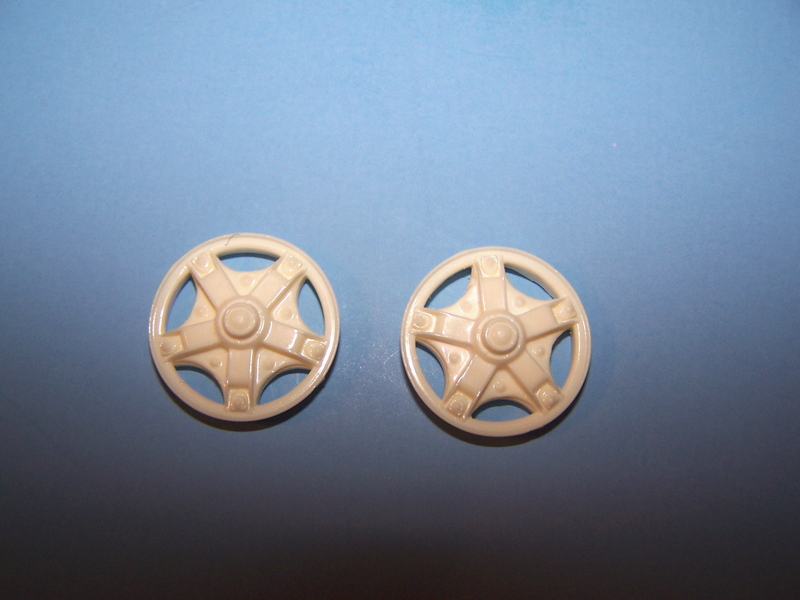 Includes 2 front wheels and 2 backing rings, for use with AMT/Ertl 20" tires. 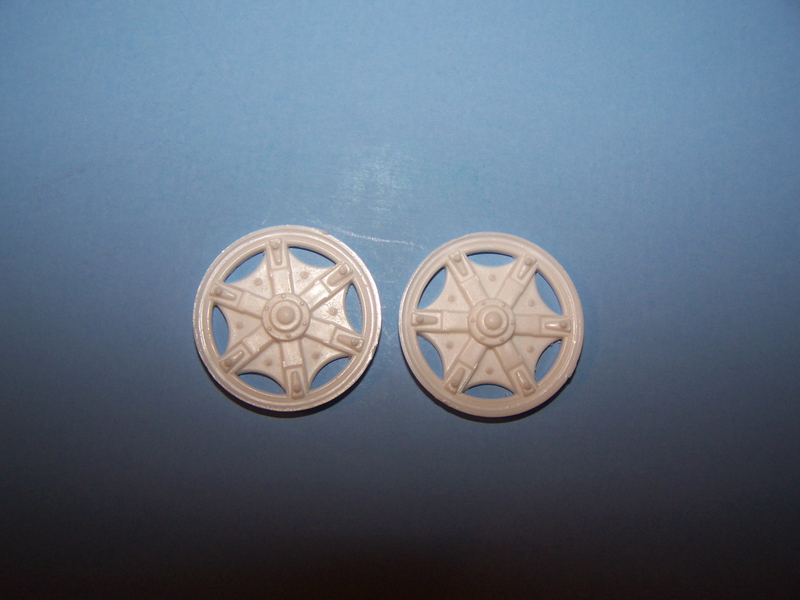 Resin cast 5 spoke front wheels. 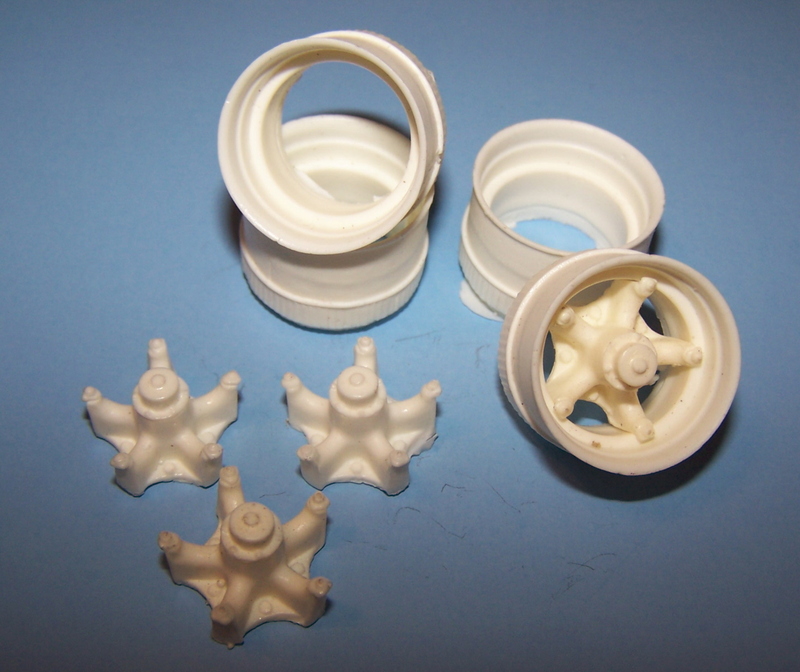 Includes 2 Resin front wheels and 2 backing rings. 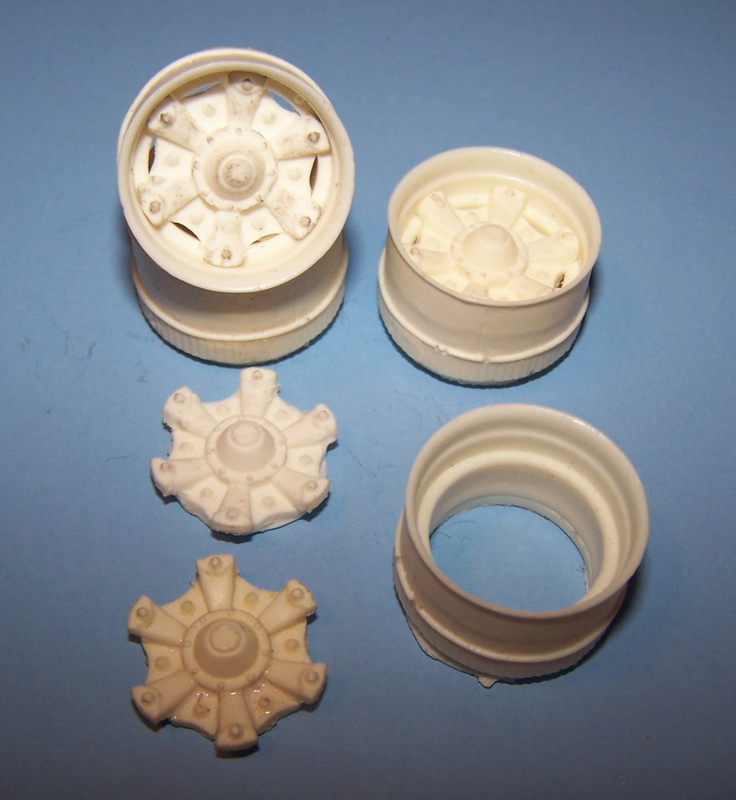 Set of 4 drive wheels with separate spiders. 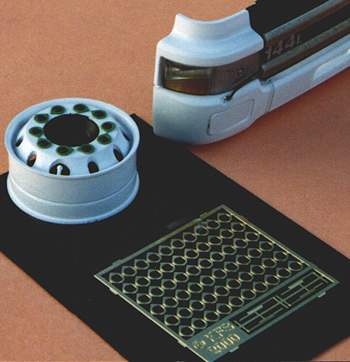 Use with Italeri Tires. 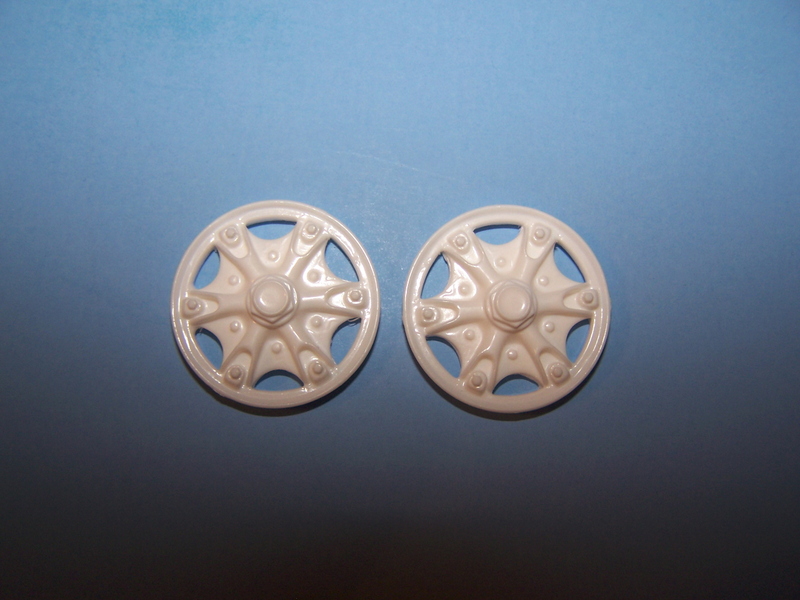 Set of 2 front wheels with separate spiders, rim measures 24mm in diameter. 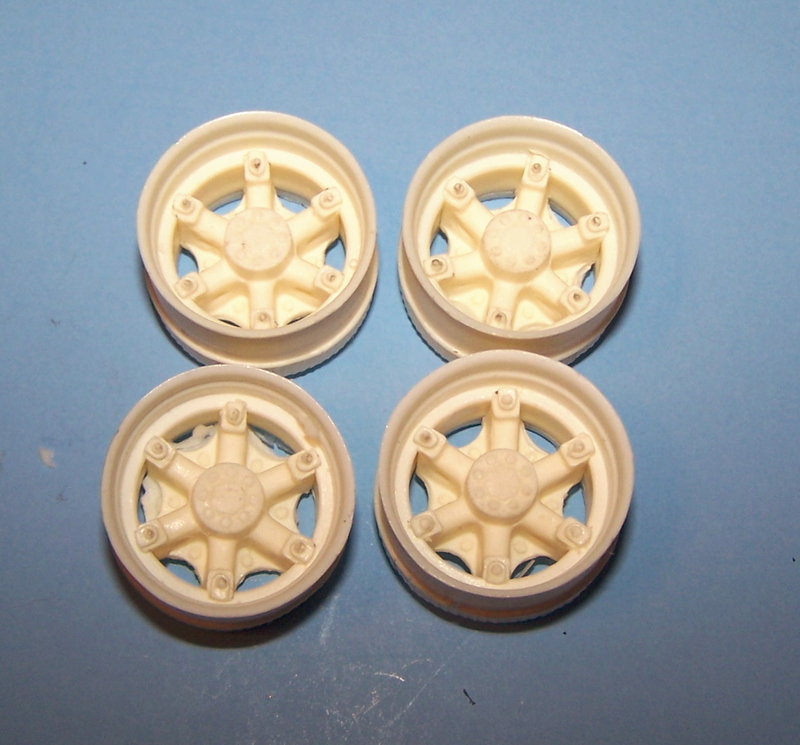 Set of 4 trailer wheels with separate spiders. Use with Italeri tires. Set of 4 wheels with separate spiders. 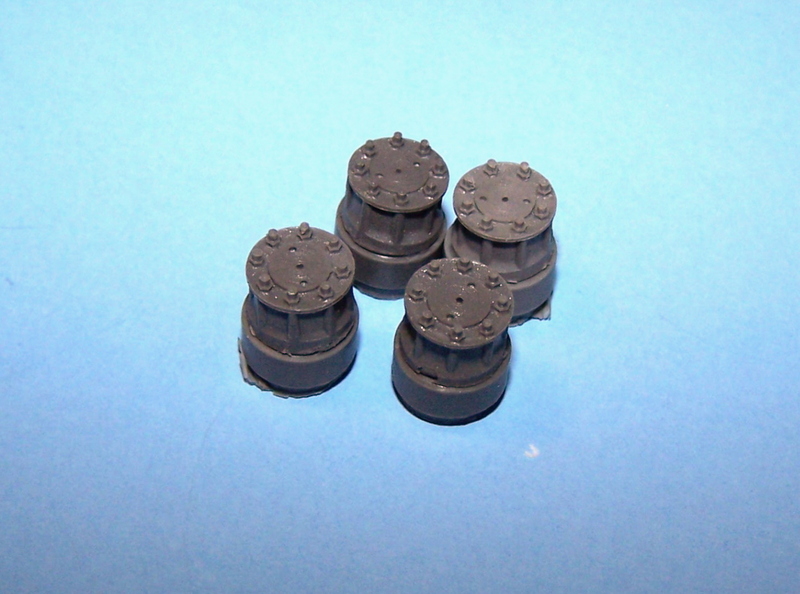 Set of 4 "covers" for drive axles, these replace the hubs on drive or trailer wheels for a custom look. Set of 4 drive axle hubs, use to convert trailer or other wheels to drive wheels. Includes 6 outer and 5 inner wheels with trailer hubs and axle adapters. 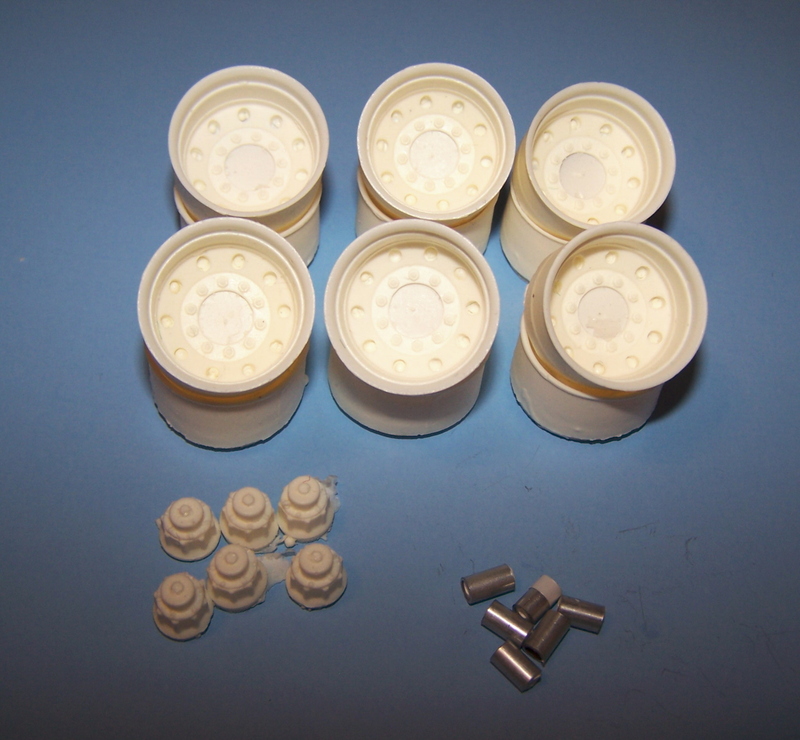 Check our wheel section for Mo'Luminum drive hubs or caps to convert to drive wheels. 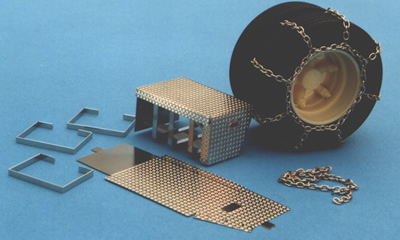 Includes chains for 4 tires with hanger boxes. Tire and wheel not included. 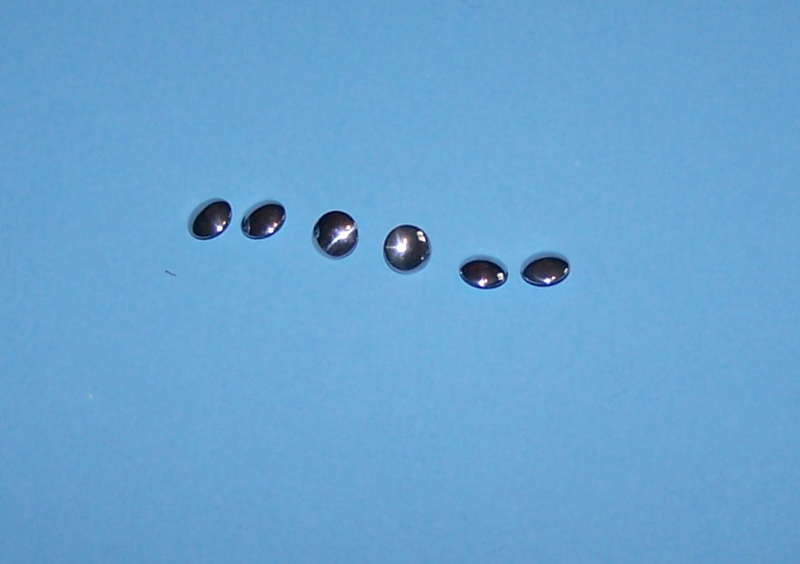 Set of 6 polished aluminum wheel center(hub)caps 6.5mm dia. 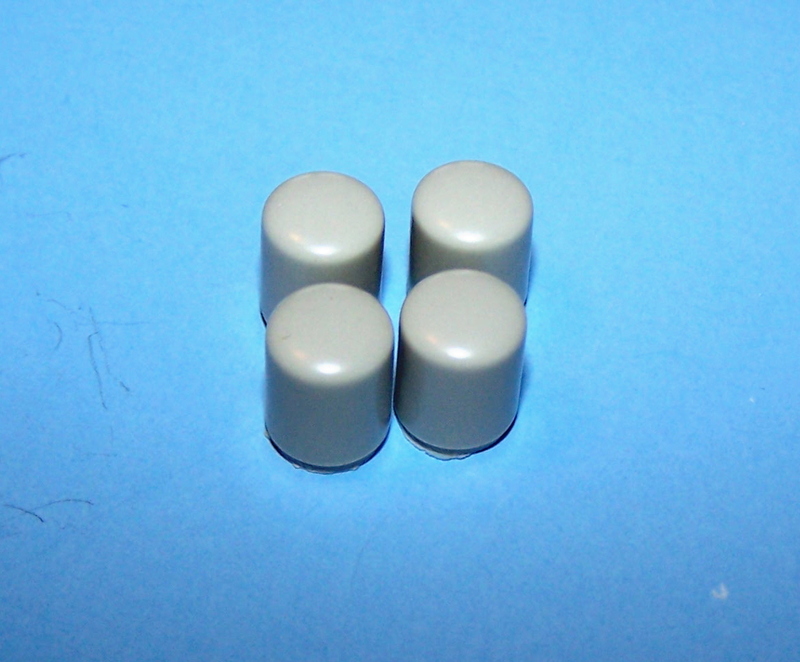 Set of 60 loose wheel nut indicators. As is our policy we will take or hold orders on good faith with no deposit! But please remember. If you order it and disappear, you only fester another grumpy retailer! I might be “Sour”. But I try not to be “Grumpy” It’s only a hobby!! !